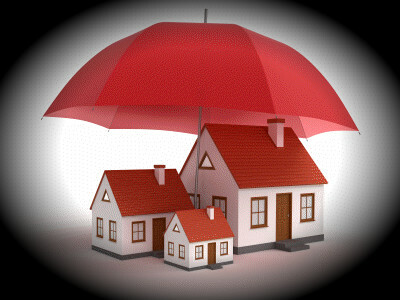 Dos and Don'ts when buying home insurance. Finding the right policy can be quite difficult and consumers are sometimes at disadvantage. Getting money for your insurance claims is not an easier task. Therefore, it is important to know how to avoid overpaying, underinsuring, or missing out on claims you deserve to have paid. The first very important step when searching for the right insurance is to use Buying Guides. Before meeting an agent, read buying guides on state insurance regulators' websites, to learn what policies cost and cover. Also make sure agents verify their promises with written proof. There can be a dramatic difference in coverage from one policy to another, so don’t get tempted by thecheap policies. One homeowners’ policy might cover all plumbing damage, for example, while another might pay only if you notice it right away, excluding the effects it has caused over time. A dangerous way to lower premiums is to get too little coverage. Homeowners who can afford it should definitely insure enough to cover the contents of a house–including artwork or other expensive items–and the full cost to rebuild a home on the site. On the other hand, homeowner premiums can be lowered safely by something as simple as putting a fire extinguisher in the garage or something as expensive as a new roof. Raising your deductible is the best way to keep your premiums down. Insurance should be used for a huge loss, anything on a small scale, is better to be covered by you.Even if you can afford the expensive premiums of a low-deductible policy, it should ultimately cost less to choose a high-deductible policy and create a bank account to insure your own small losses. Get Disaster Coverage, especially if you live in a region prone to earthquakes, tornados or floods. For example fire insurance won't pay out if the fire was caused by an earthquakeand coverage for hurricane wind damage might not protect you from the flood caused by the hurricane. When disaster strikes and a house is damaged, homeowners must try and prevent further damage and preserve the evidence. You can make minor repairs, but in any case don’t undertake any permanent repairs or clean up debris until after your insurer's claims adjuster makes a visit. If your older house is destroyed by a fire or disaster, you can't just tear original construction plans and build again. Therefore, most agents advise all owners of older homes to get the so-called ordinance and law coverage added to their homeowner policies. Another important addition is the umbrella liability coverage. Without it, you could be bankrupted by a lawsuit, whether from someone injured on your property or from someone slandered by your Internet blog. Such is quite important for renters who live in large buildings. Most experts warn against buying any insurance policy with extremely narrow coverage. Also, many forms of insurance represent a relationship between an insurer and a customer that can last decades. Therefore, it's important to make sure the company you chose is likely to survive that long. Important is to pick a responsive insurer, who will pay you claims quickly. Make sure to check data on existing complaints, awards or other relevant information. Don't file many small claims, because they can prompt insurance companies to refuse to renew your policy or to raise your rates. Other insurers will also know about the frequency of your claims, because insurers use shared databases. However, when making a big claim make sure you have professional help in the negotiation process.